Over at ComicBook.com, they got a hold of a syllabus for pretty much the coolest college course ever offered. 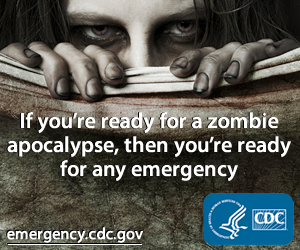 The syllabus is from the University of California-Irvine and the course title is, “Society, Science, Survival: Lessons from AMC’s The Walking Dead.” This is a free online eight-week college course that instead of being graded on, you’ll take a self-assessment quiz when completed. The controversy is that there may be Season Four spoilers due to the wide range of students taking the course from all over the world. You don’t have to watch the show to take the course but references to the first three seasons will be made. Course topics discussed include: Maslow’s hierarchy of needs; social order and structure; social identity, roles, and stereotyping; the role of public health in society; the spread of infectious disease and population modeling; and, managing stress in disaster situations. We think this is a great idea and there are obvious lessons to be learned from the show. To view the complete syllabus, head over to ComicBook.com and click here if you want to enroll. 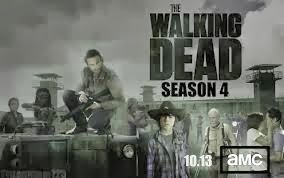 The class begins October 14 which is the Monday after the Season Four premiere of the series.